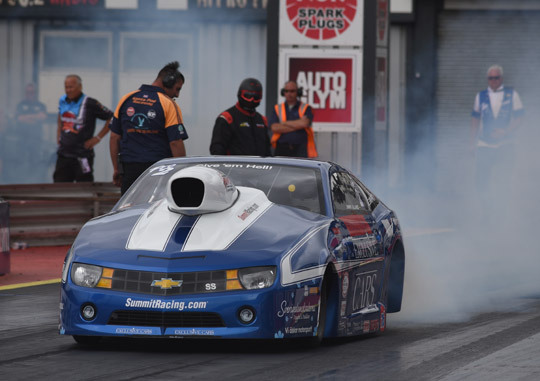 There was no racing in the FIA European Drag Racing Championship classes at all on day two of qualifying for the European Finals at Santa Pod Raceway, the sixth and final round of the FIA European Drag Racing Championship. It started to rain during the night and as it was still raining at 5.30 PM, the race director had no other choice than to cancel the Saturday qualifying for the European Finals. So Friday leaders Liam Jones (Top Fuel), Michael Gullqvist (Pro Modified), Jimmy Ålund (Pro Stock) and Timo Habermann (Top Methanol Dragster) will lead their respective categories into Sunday’s eliminations at Santa Pod Raceway, the sixth and final round of the FIA European Drag Racing Championship. 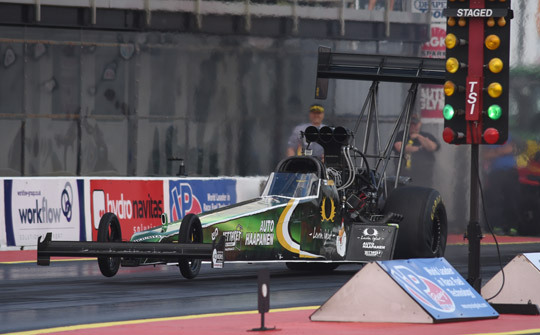 In Top Fuel, number one qualifier Jones will face Duncan Micallef in the first round of eliminations. Anita Mäkelä, the leader in the championship, will face Steve Ashdown and Stig Neergaard, the number two in the championship, will face multiple FIA European champion Urs Erbacher. The difference between Mäkelä and Neergaard in the champion points standing is only 13 points. In Pro Modified, championship leader and number one qualifier Michael Gullqvist will face Marcus Hilt in the first round. Bruno Bader is less then 20 points (one round win) behind Gullqvist and the Swiss number four qualifier will face David Vegter in the first round. Mats Eriksson is the number three in the championship and can also still win the title. Last year’s runner up in the championship will face Jean Dulamon in round one of eliminations. In Pro Stock, champion leader and number one qualifier Jimmy Ålund will face Stefan Ernryd in round one. Bengt Ljungdahl is the number two in the championship and he will face Magnus Petersson in the first round. 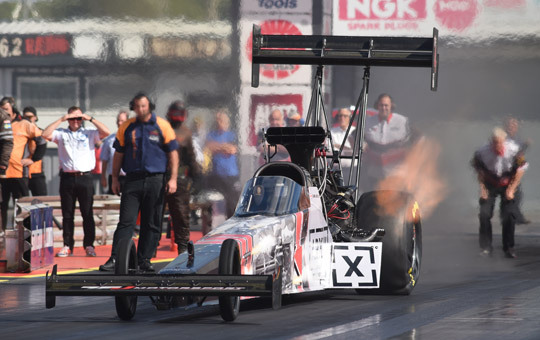 In Top Methanol Dragster, number one qualifier Timo Habermann will face Jndia Erbacher in round one. 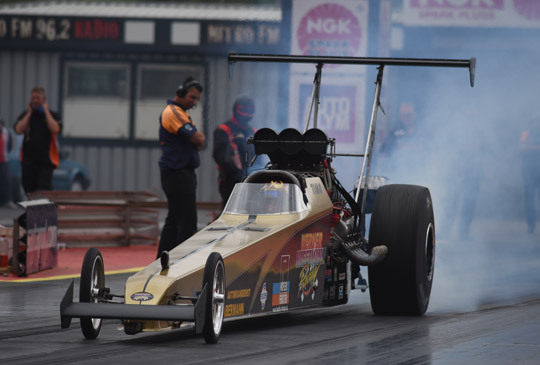 Jonny Lagg, the 2016 FIA European Top Methanol Dragster champion was the number three qualifier and will face Dave Wilson in round one. 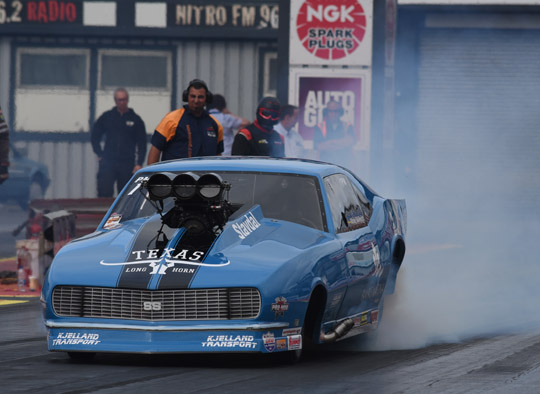 Eliminations for the European Finals at Santa Pod Raceway will start tomorrow morning, Sunday September 11 at 9.30 AM.